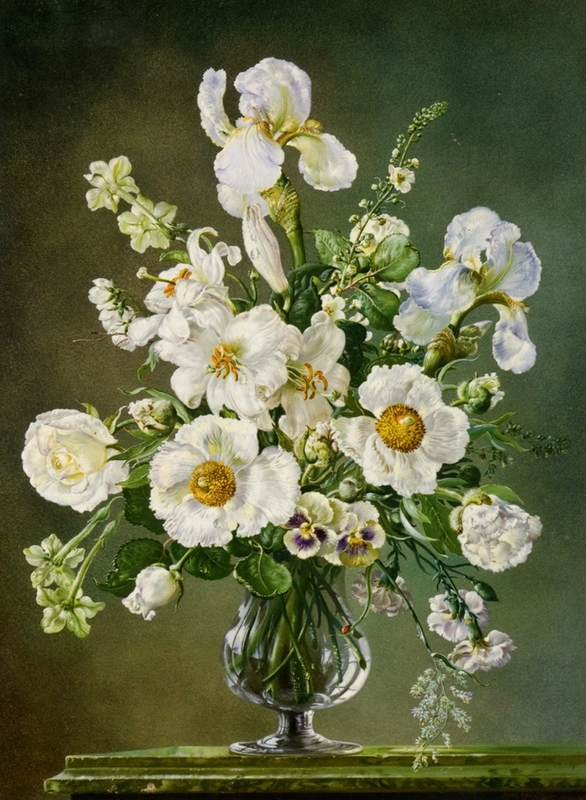 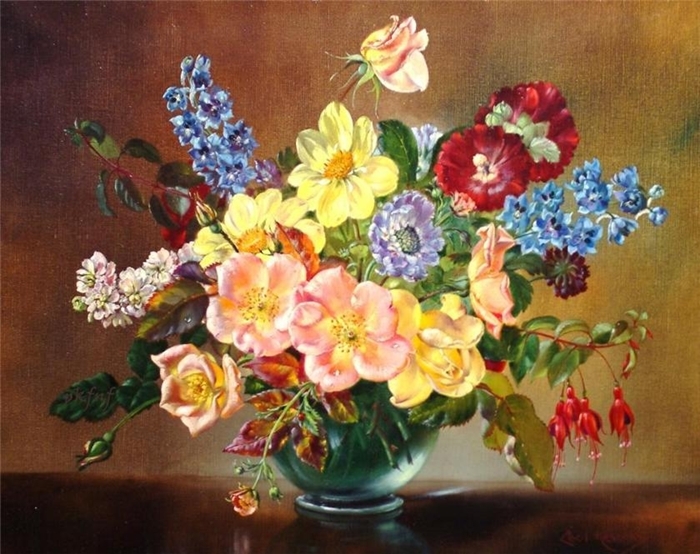 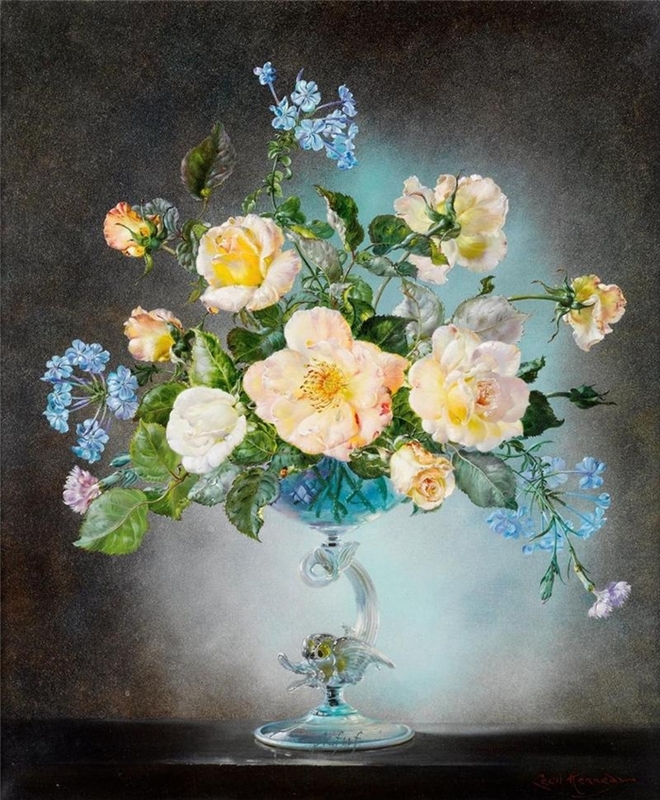 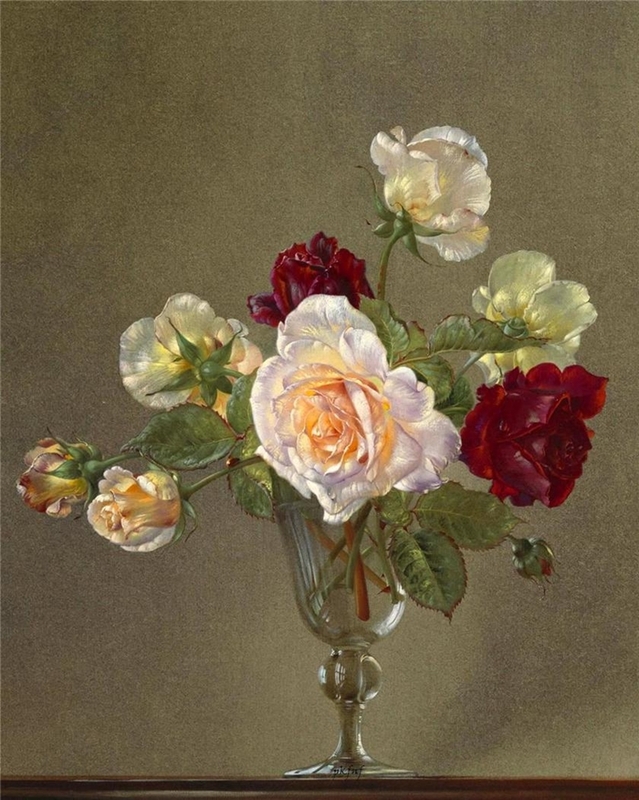 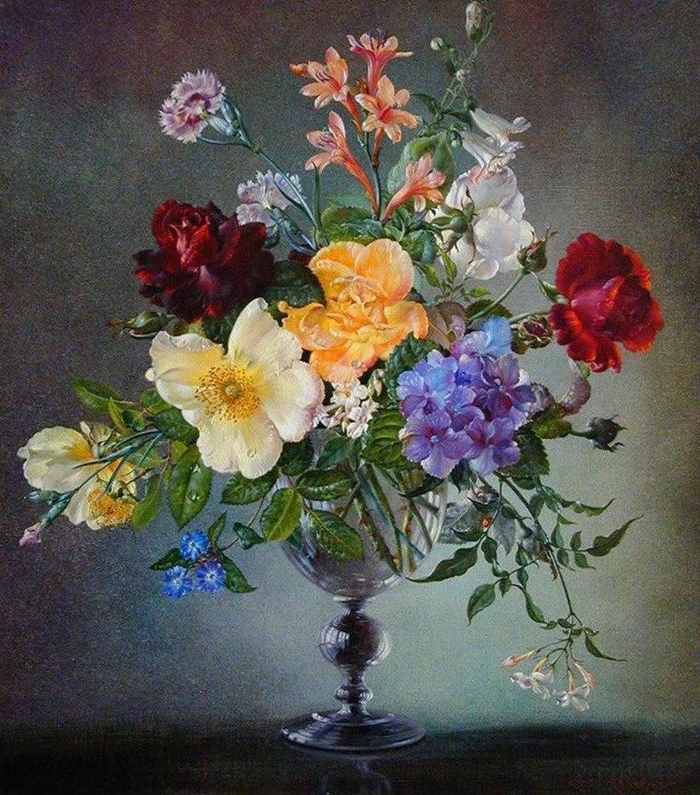 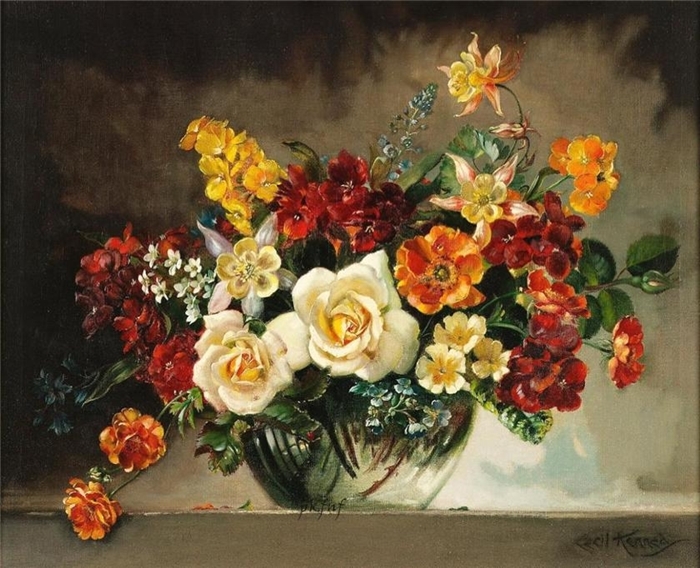 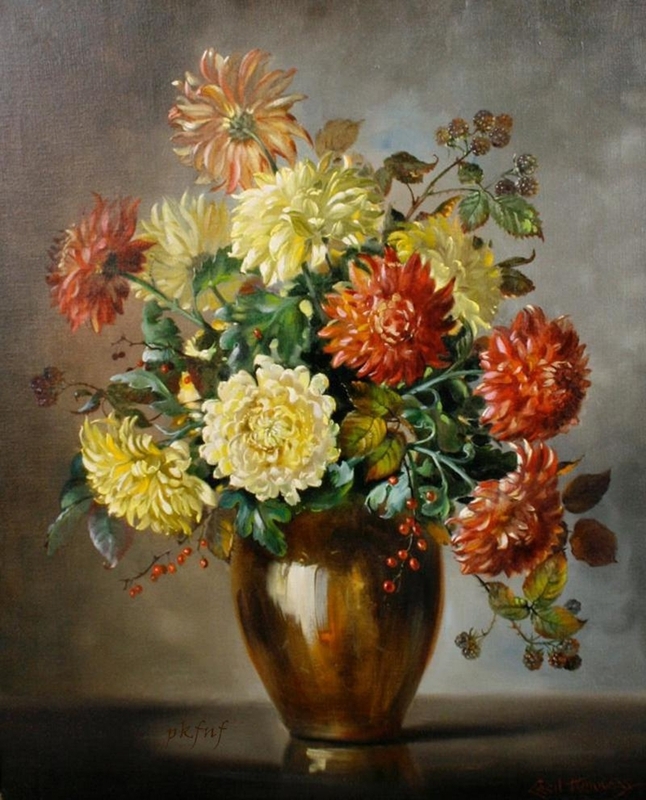 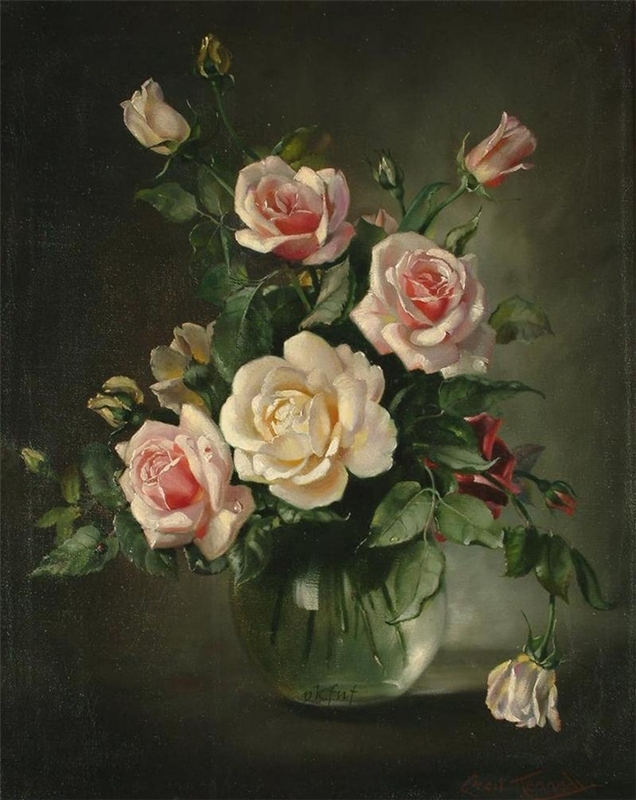 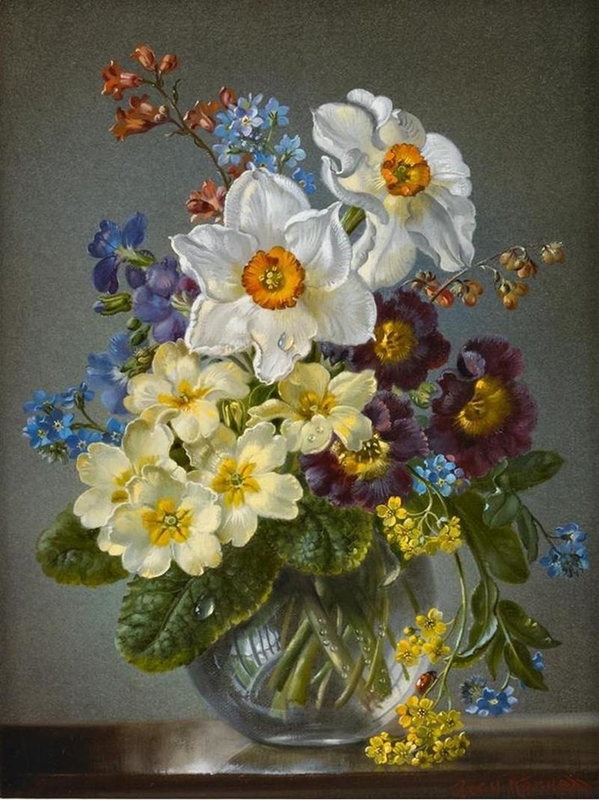 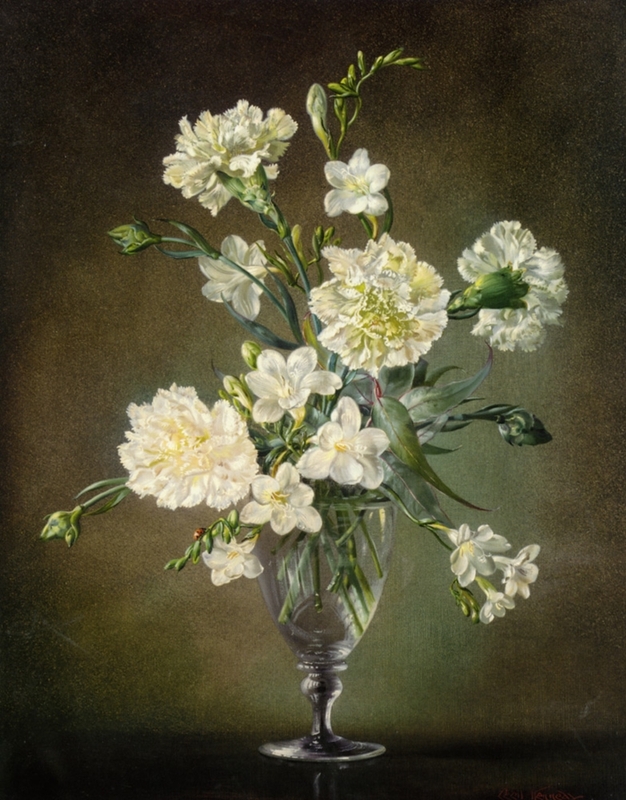 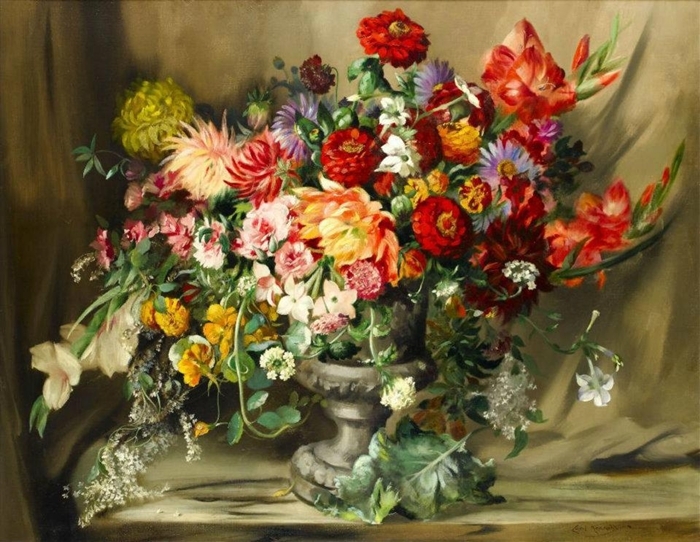 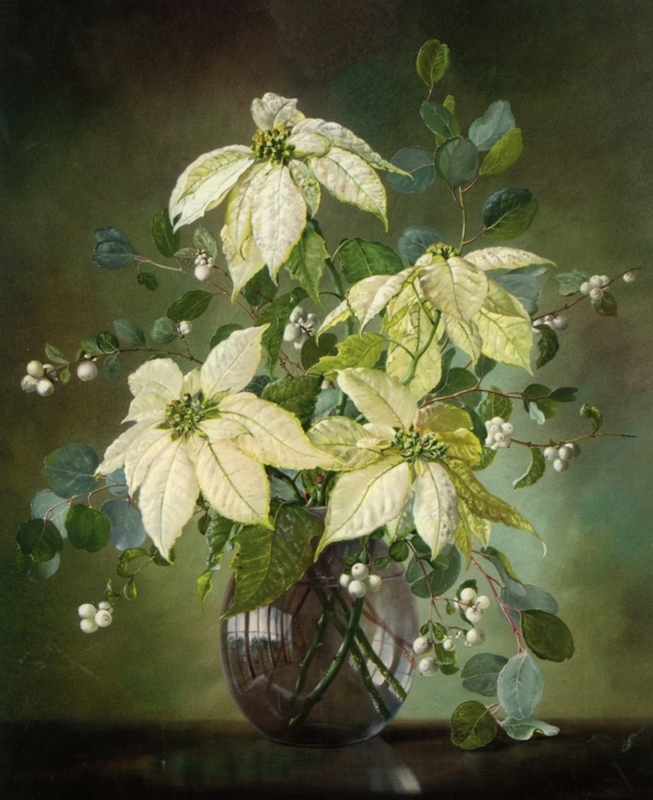 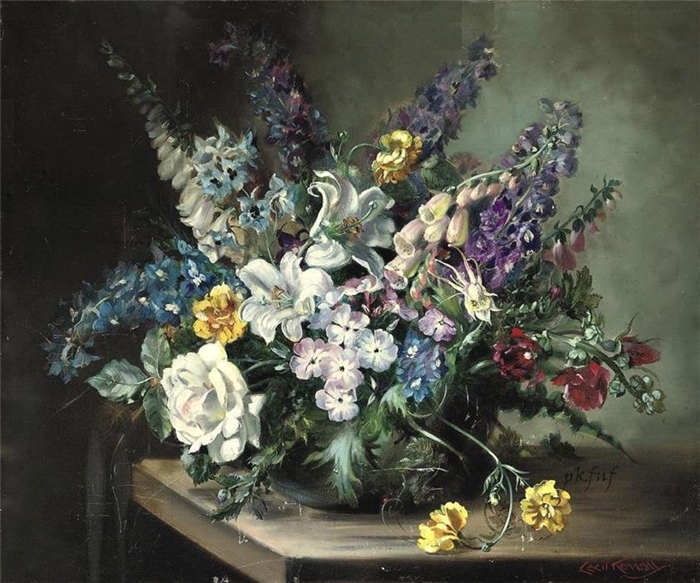 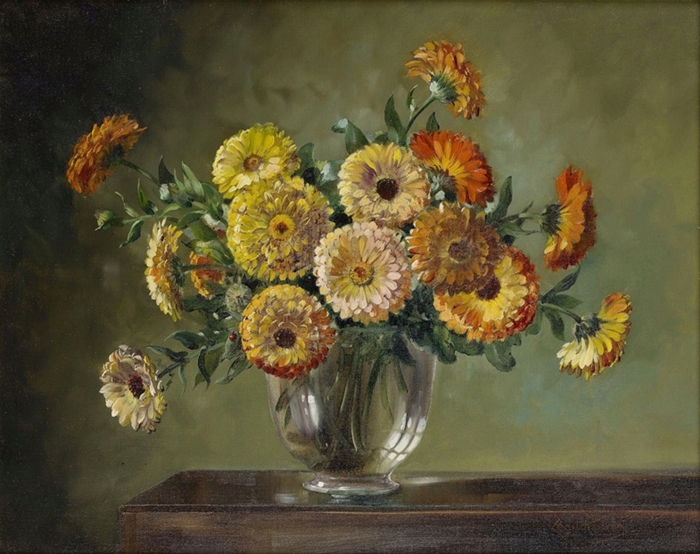 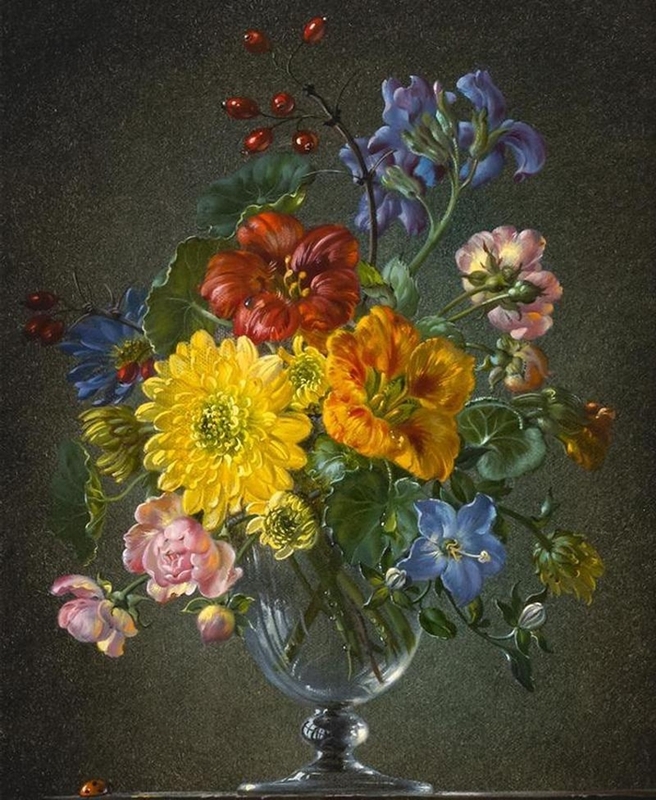 Cecil Kennedy [1905-1997] was a painter in oils who specialised in flowers becoming one of the popular British flower painters of his time. 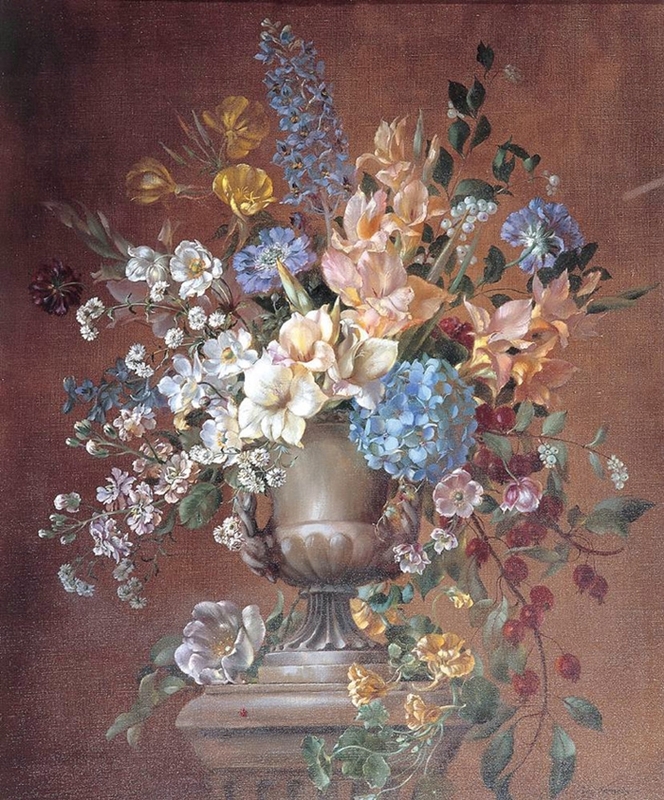 After training at art school, Kennedy studied under a number of artists, the most influential being Nieco Jungmann. 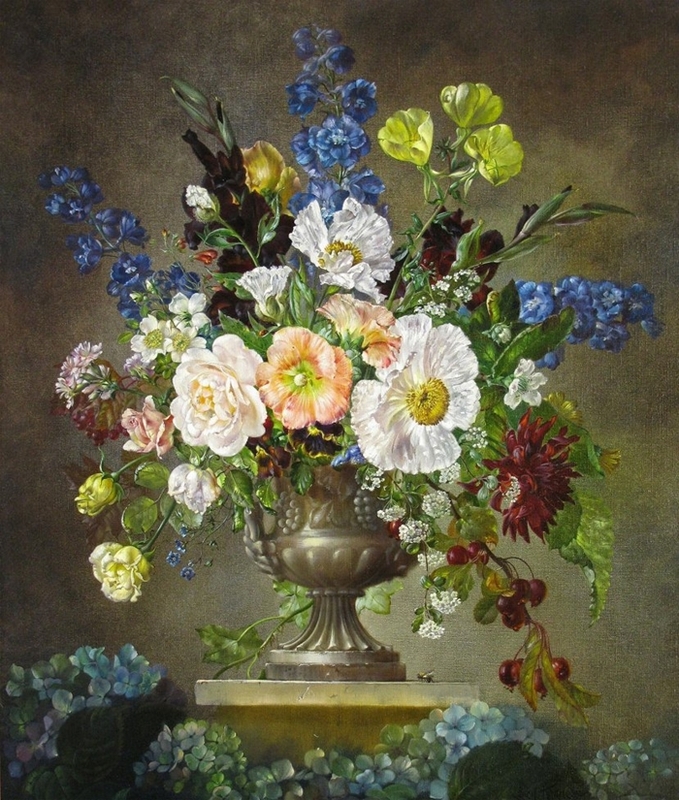 He also studied in Antwerp and Paris and was awarded a silver medal at the Paris Salon in 1956 and a gold medal in 1970. 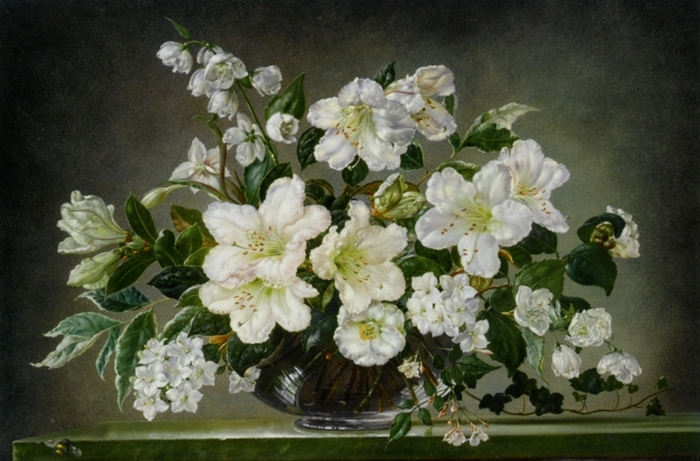 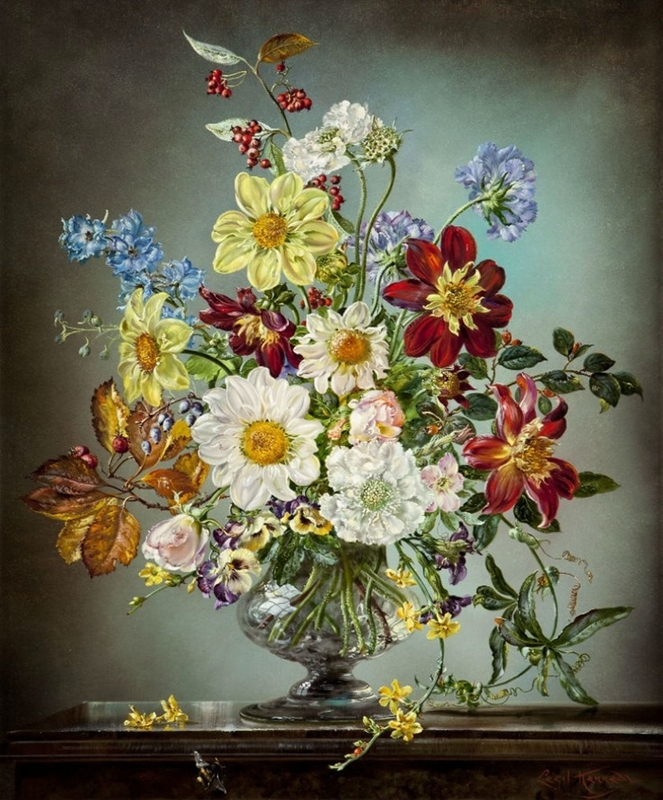 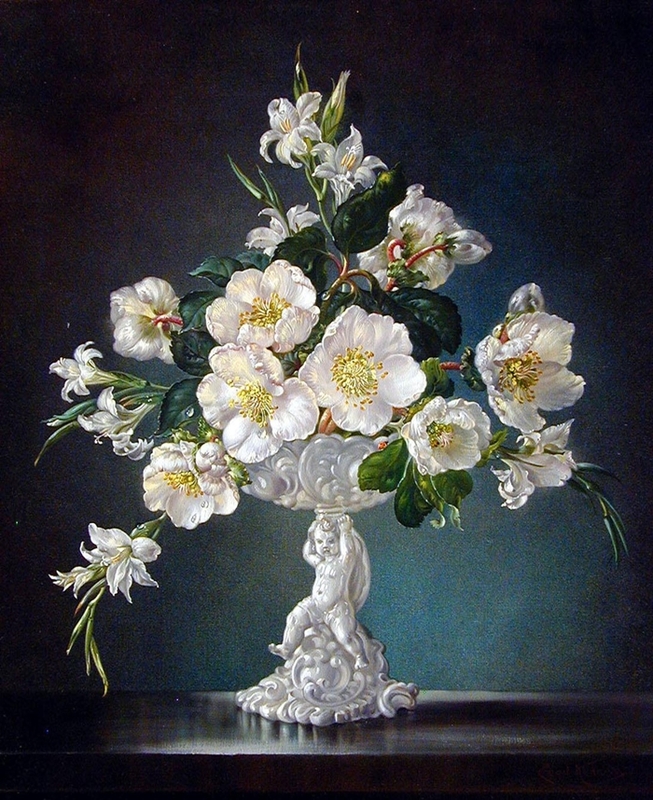 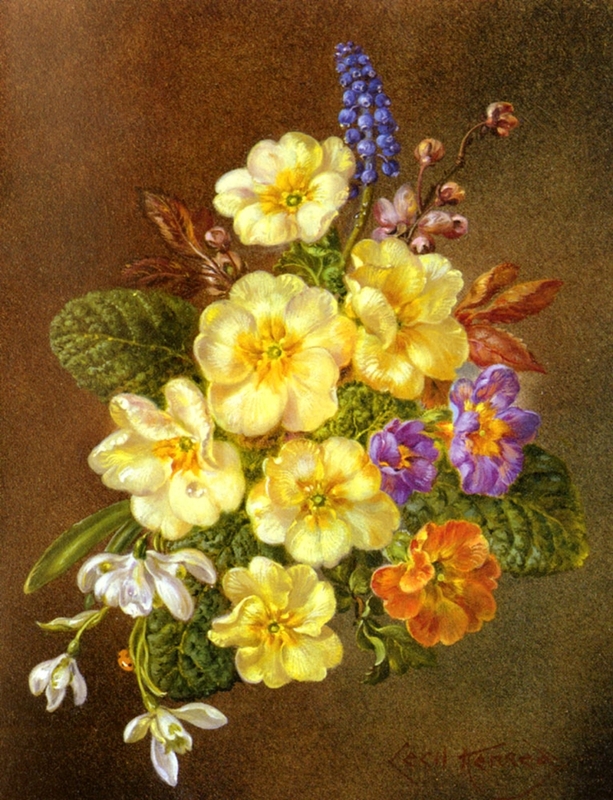 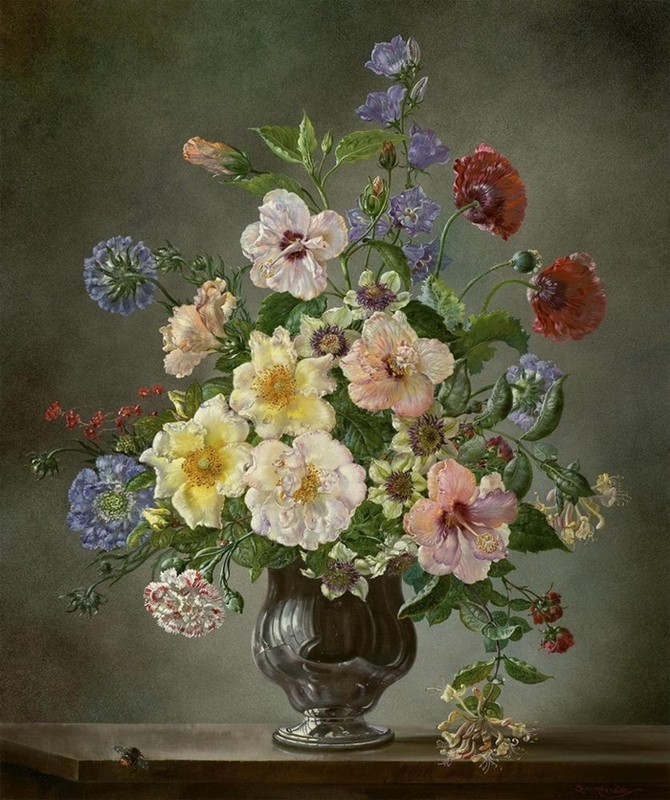 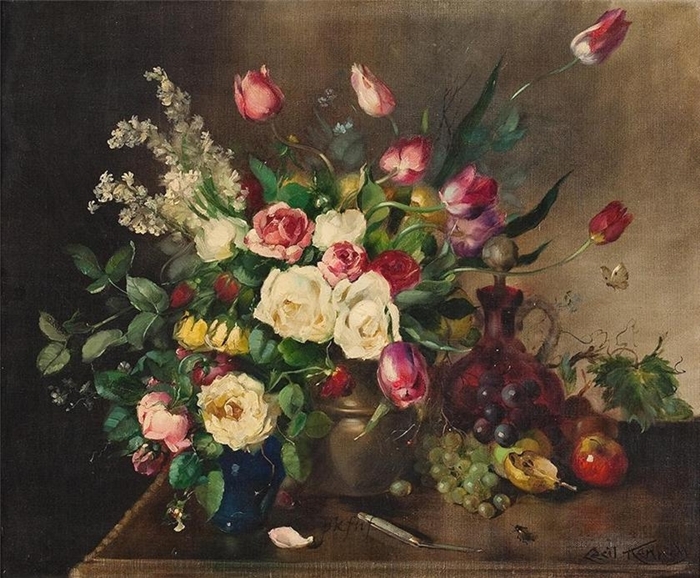 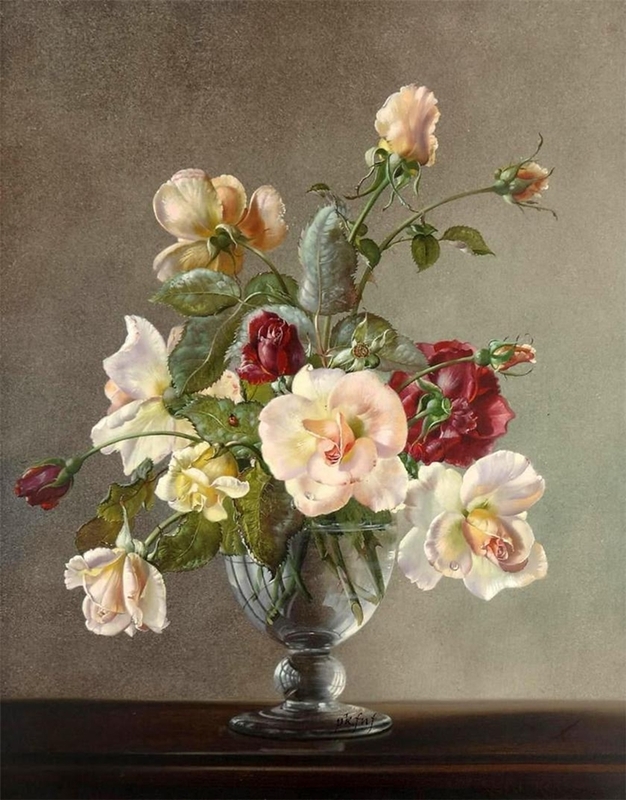 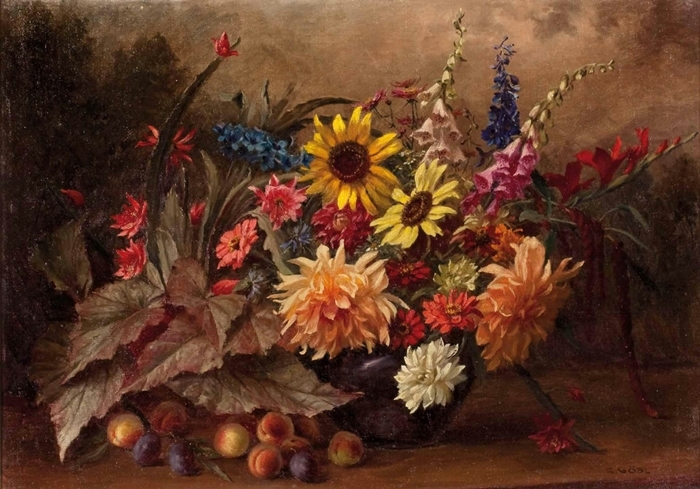 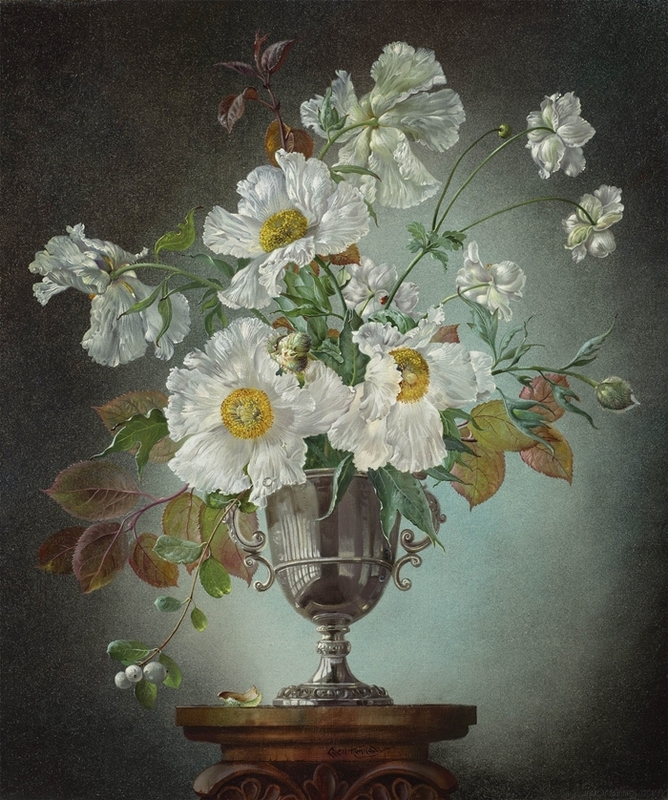 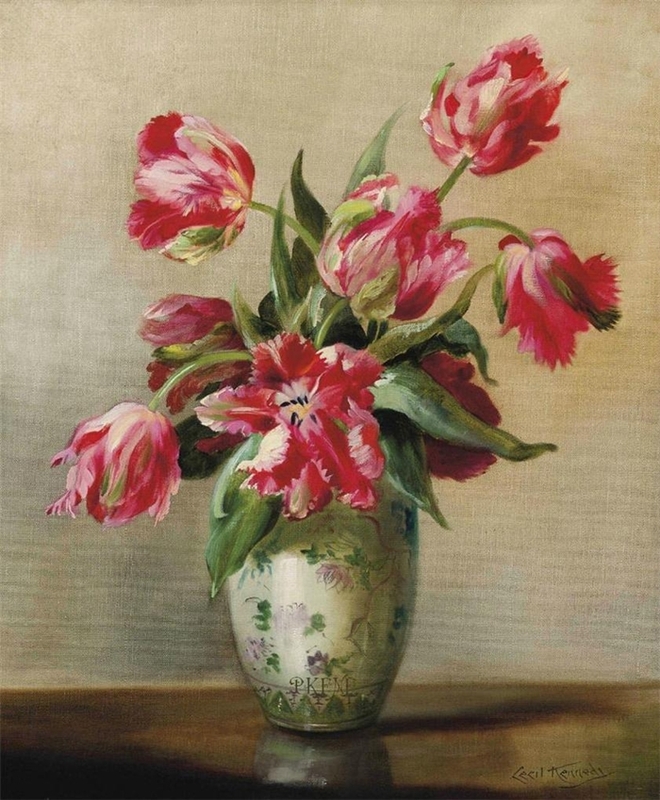 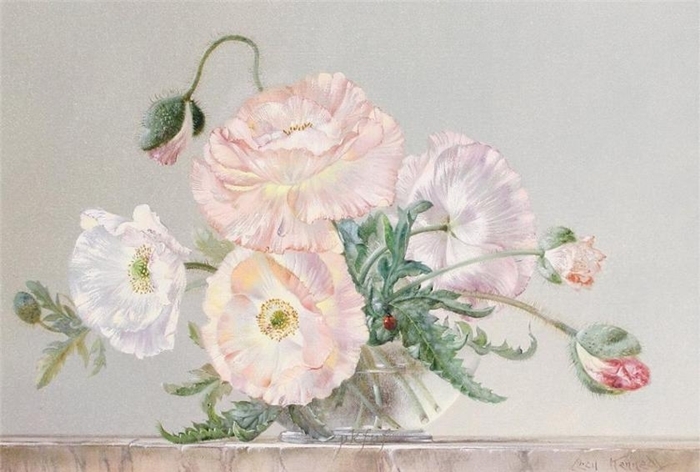 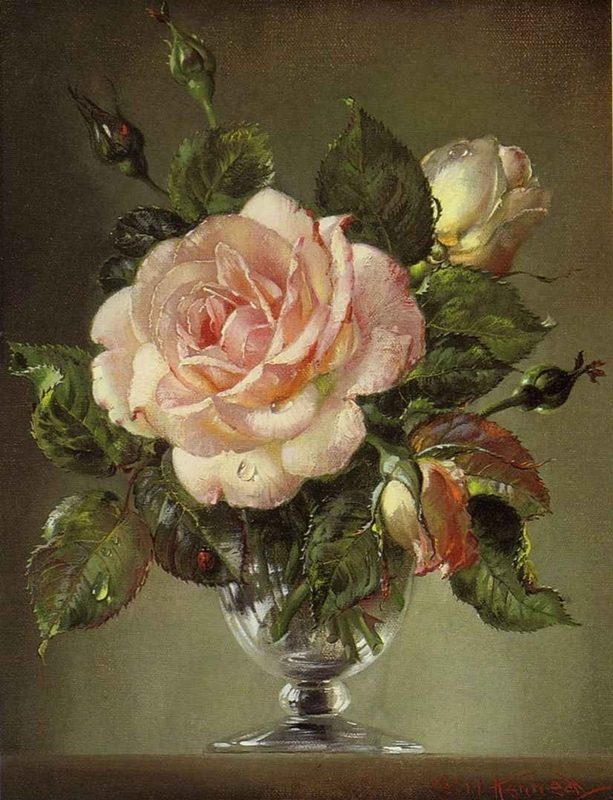 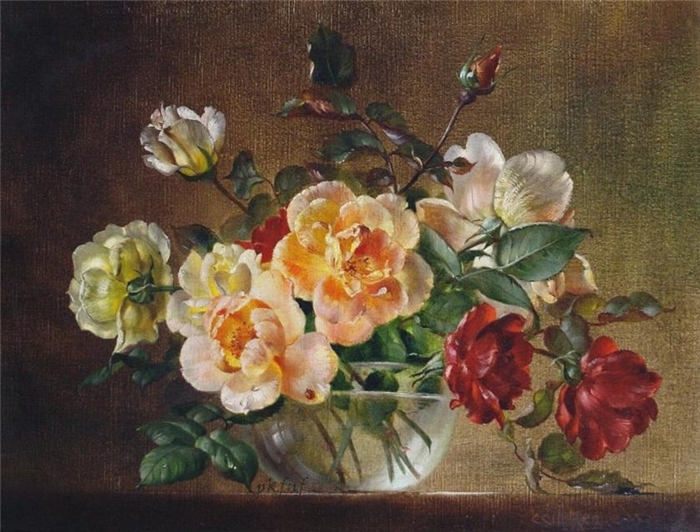 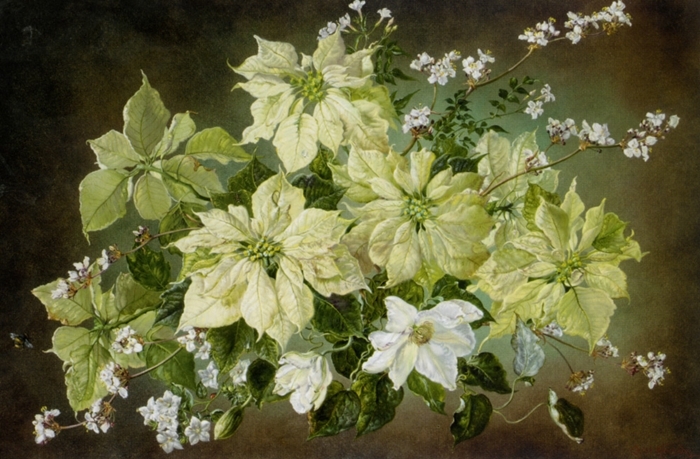 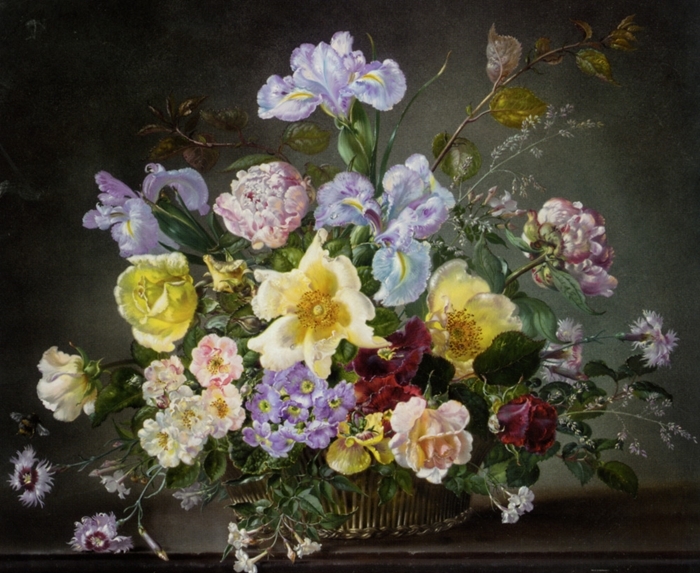 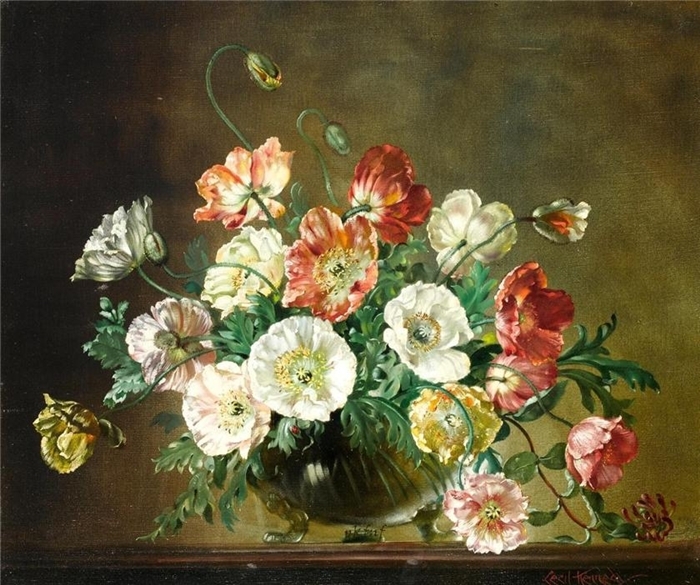 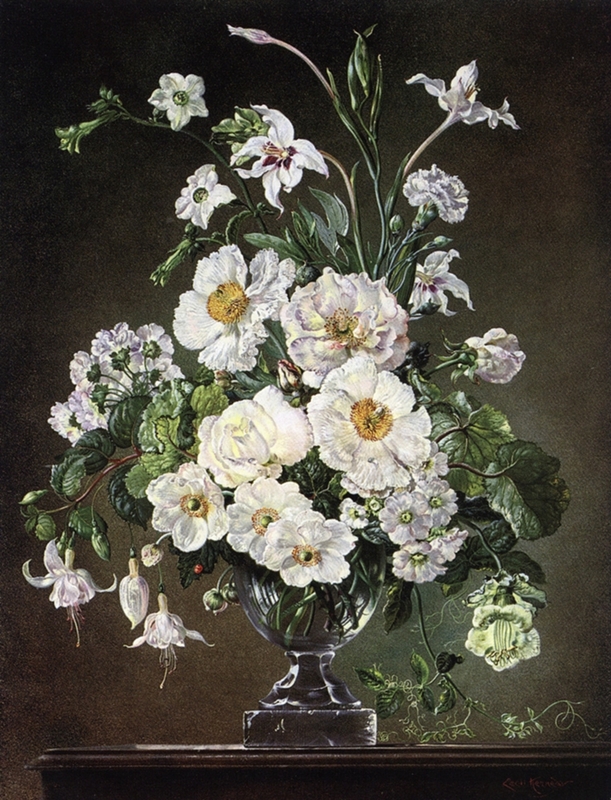 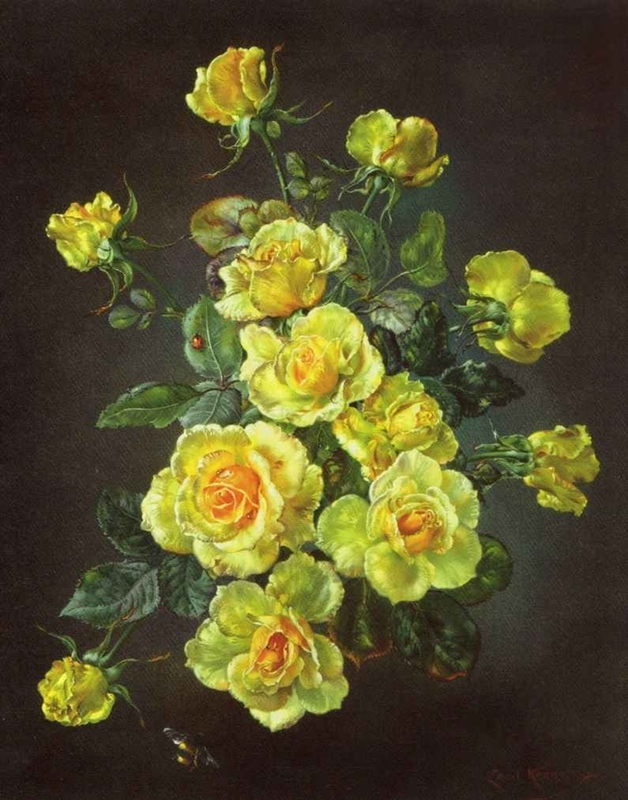 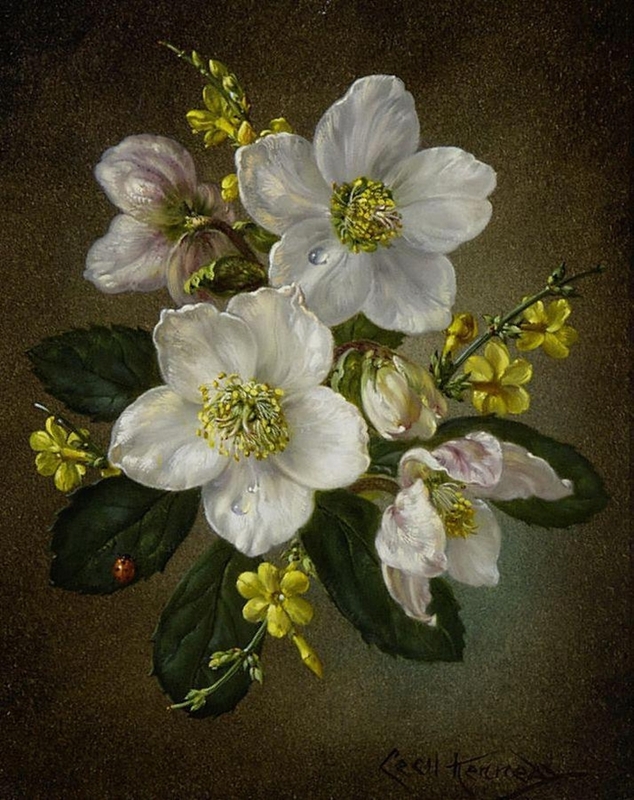 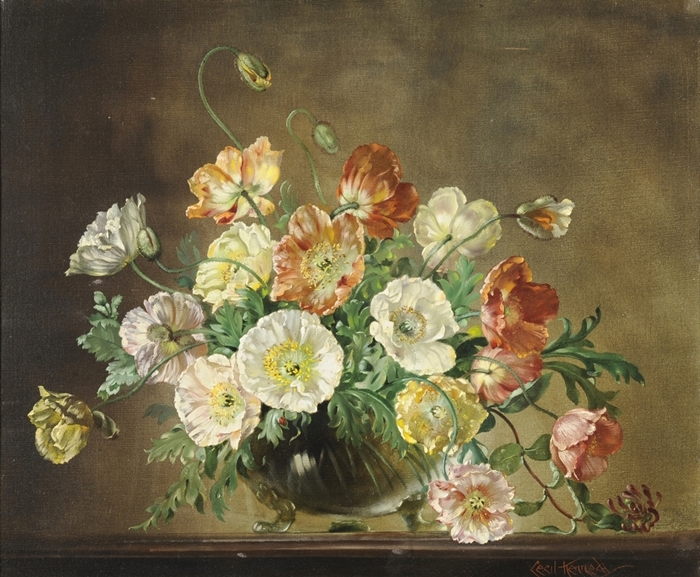 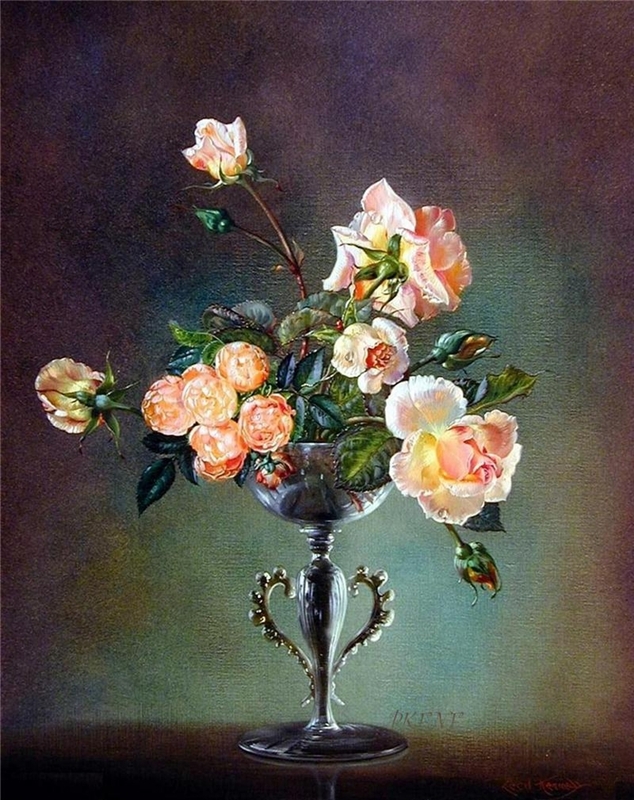 His carefully delineated flower paintings have been likened to those of the Dutch 17th Century Masters in approach and devotion to detail. 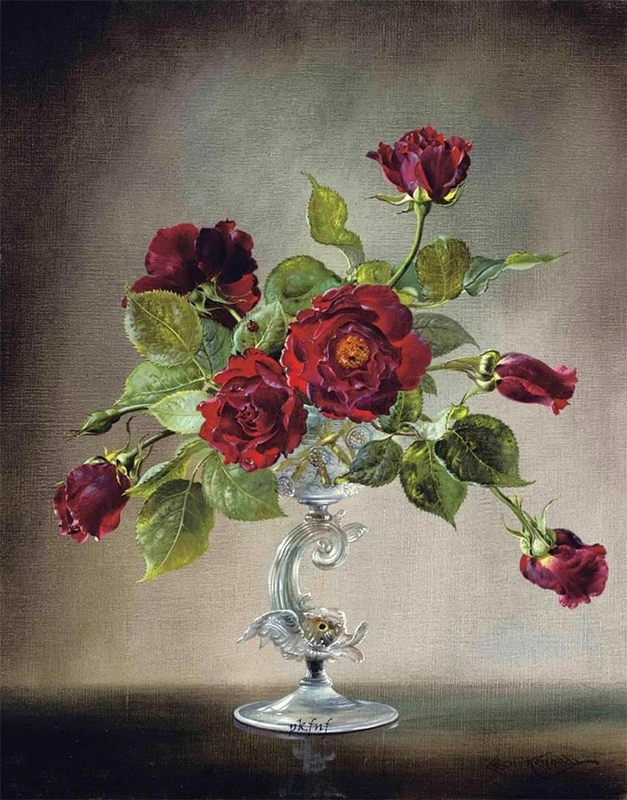 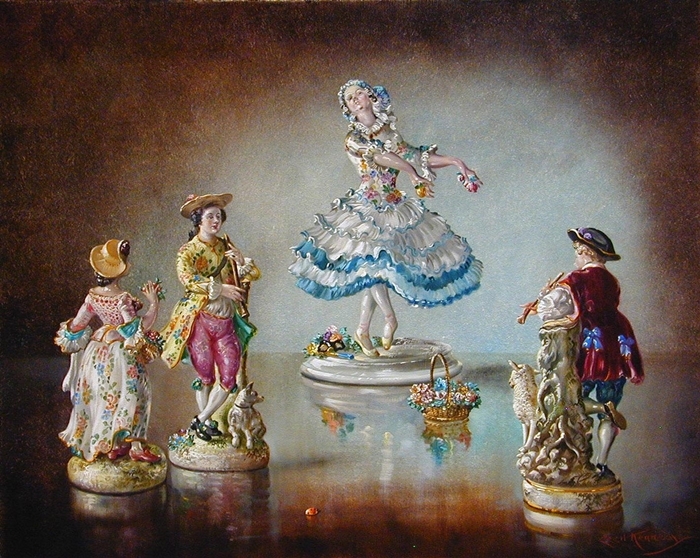 Kennedy has held exhibitions in London, Paris, New York and Johannesburg and exhibited regularly at the Royal Academy, The Royal Hibernian and the Royal Scottish Academy.